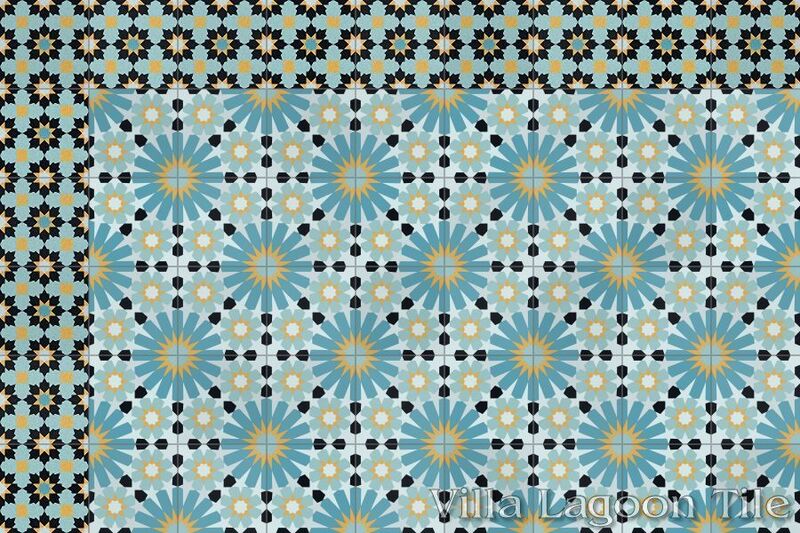 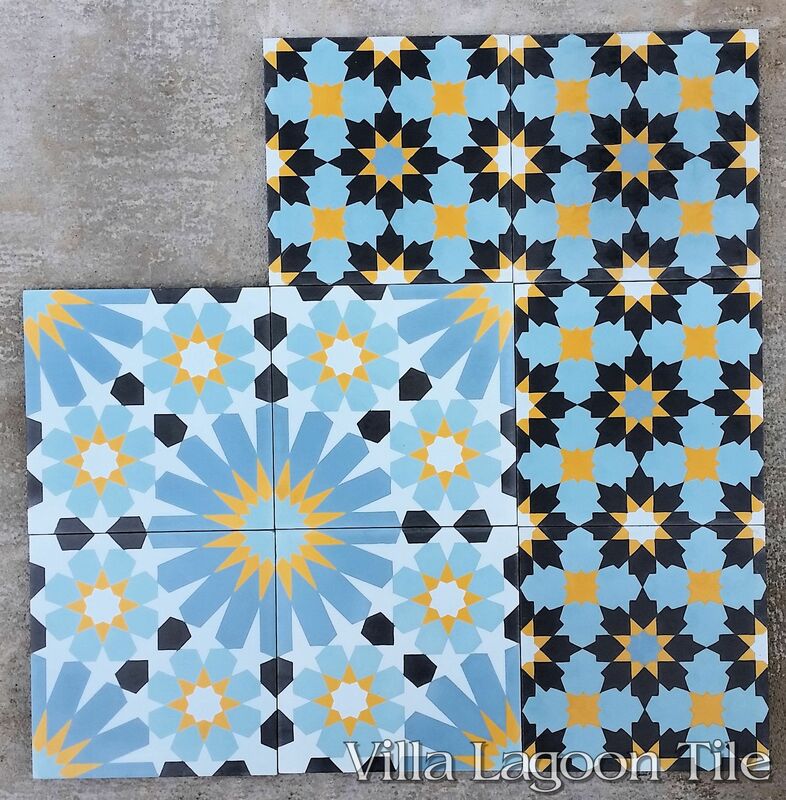 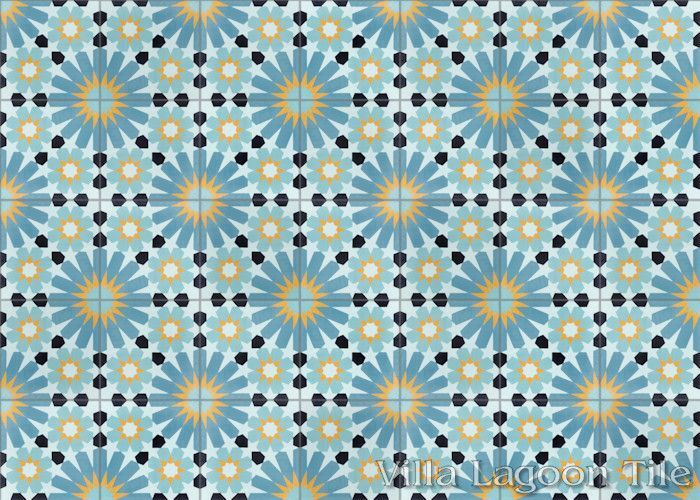 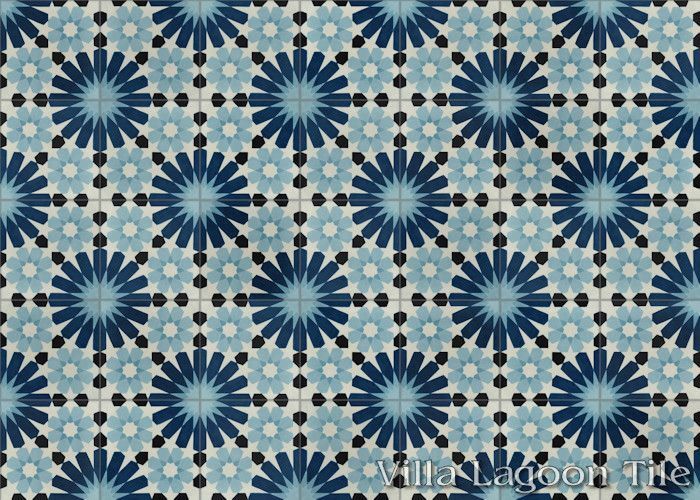 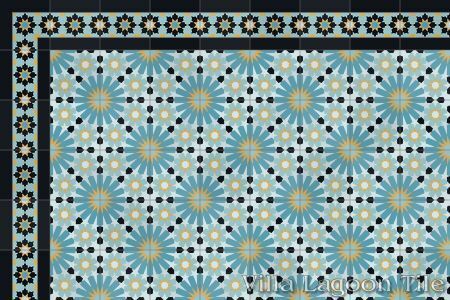 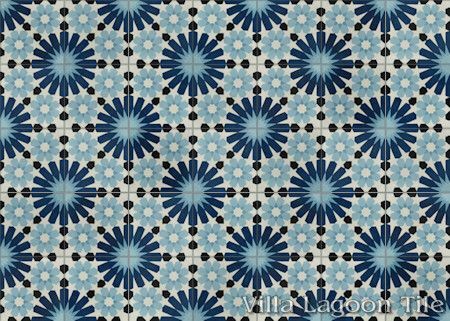 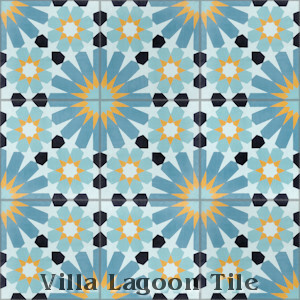 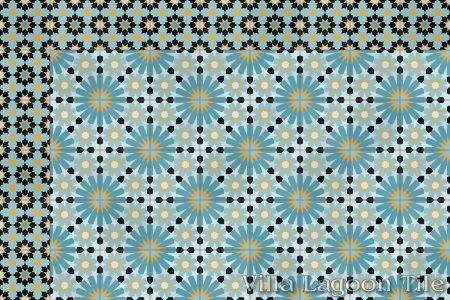 Villa Lagoon Tile's "Tangier" cement tile pattern is a classic arabesque theme of repeating geometric flowers, used frequently in Moroccan mosaics and tiles. Our "Tangier" typifies perhaps the most common of Moroccan tile motifs. 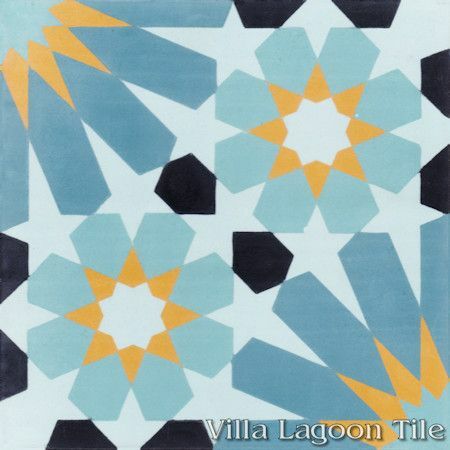 Standard Price:$7.60 per tile ($17.48 / square foot)* tiles per box. 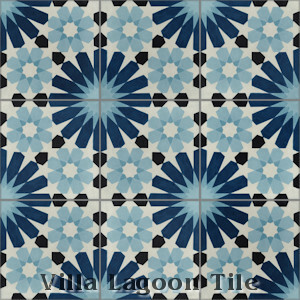 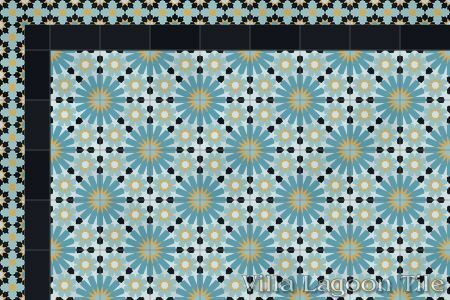 Villa Lagoon Tile's "Tangier" cement tile pattern using Black, Atmosphere, Velvet Sky, Malibu Blue, and Maple Sugar from the South Beach Palette. 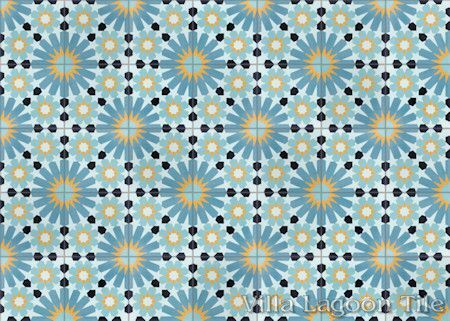 We our original colorway "Primero", Spanish for "First". 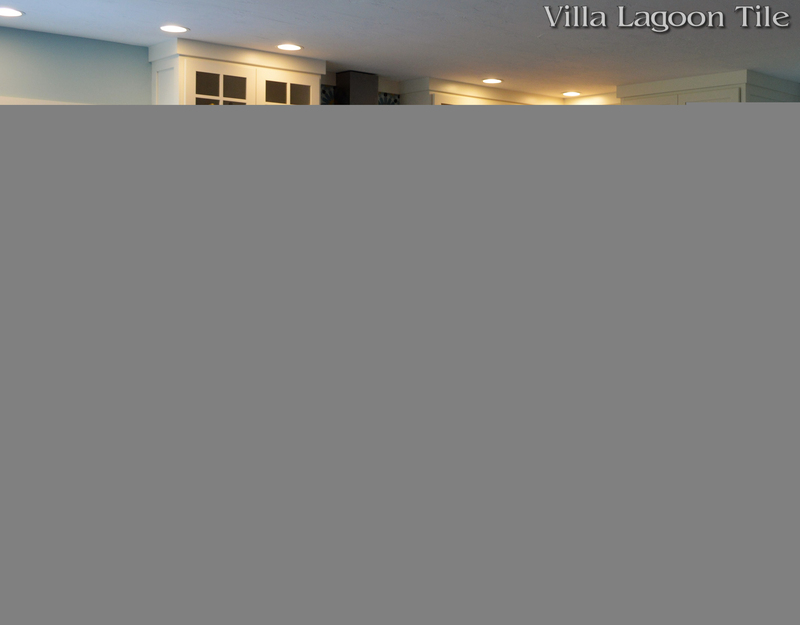 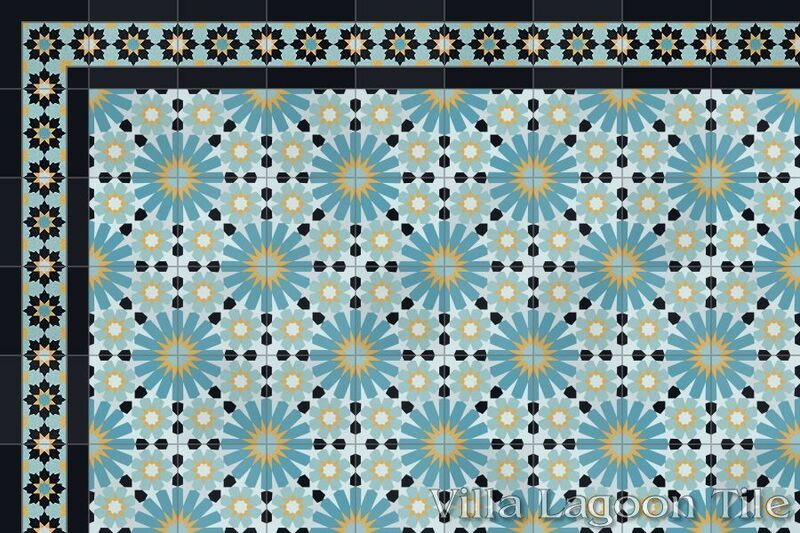 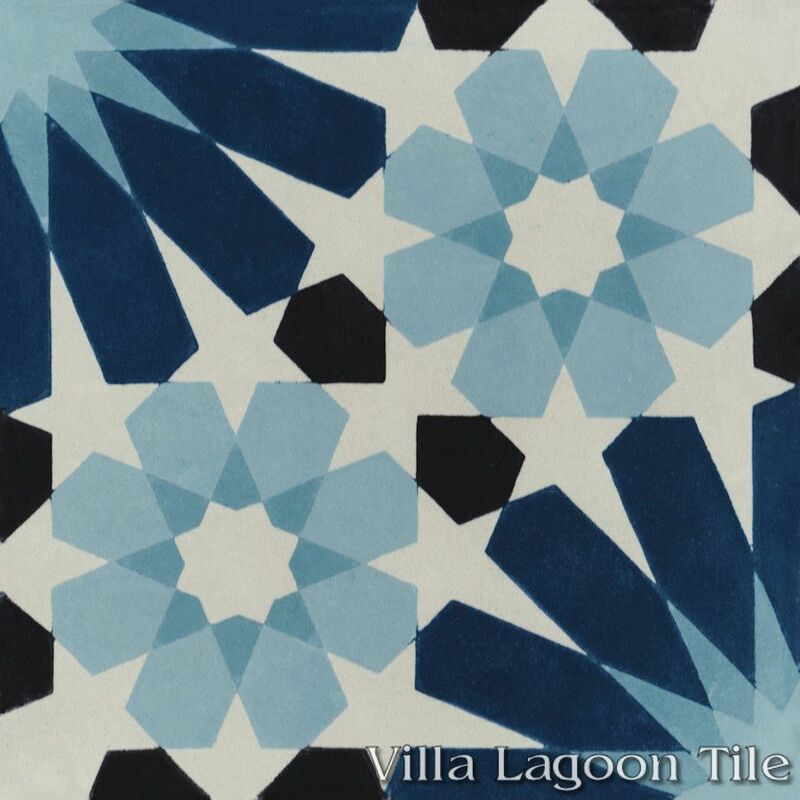 Villa Lagoon Tile's "Tangier" cement tile pattern using Seashell White, Black, Velvet Sky, Deep Inlet, and Malibu Blue from the South Beach Palette. 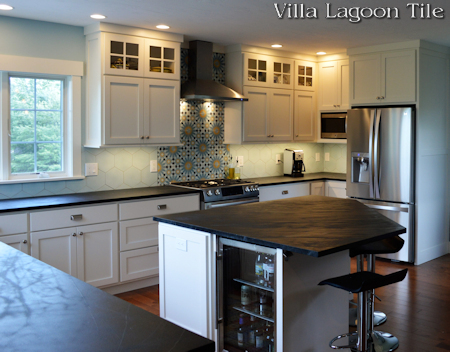 Tangier and Atmosphere Hex cement tile blend beautifully in the backsplash of this light and airy kitchen. 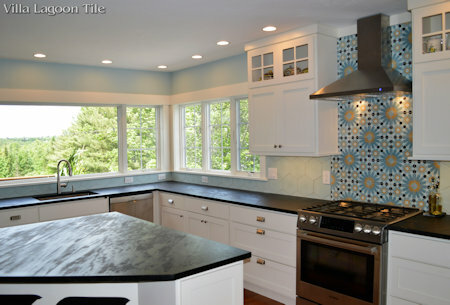 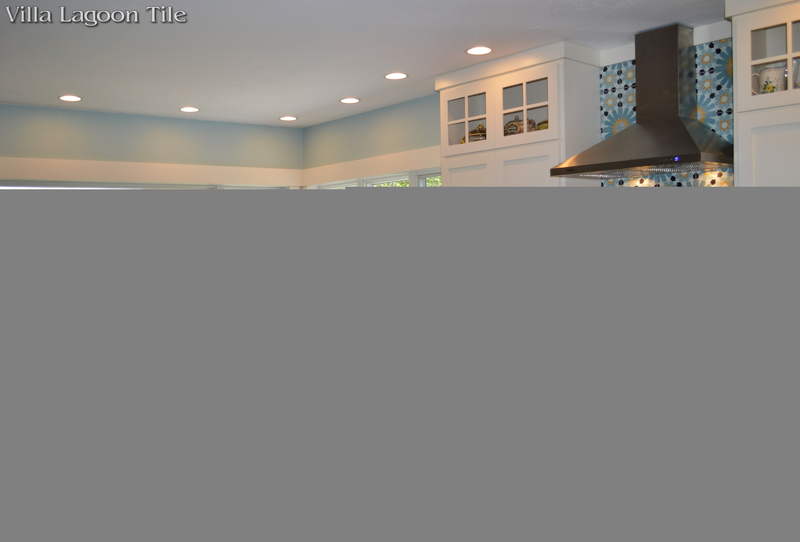 Tangier and Atmosphere Hex cement tile kitchen backsplash.